As you organize and plan your annual coverage, consider the many reasons to invest in vision benefits for you and your family. Although many employee benefits packages include health insurance as the primary form of coverage, there are often additional forms of insurance that are supplemental to a plan. Among the most common supplemental benefits included with standard employee benefits packages are dental and vision insurance. These two forms of insurance are typically incorporated into these packages because they are some of the most practical for families. However, there are many other reasons to include vision insurance to your plan as a crucial means of support to your health. As you organize and plan your annual coverage, consider the many reasons to invest in vision benefits for you and your family. Because your eyes are connected to symptoms of various health conditions, a regular eye exam can serve an essential purpose for your overall health. 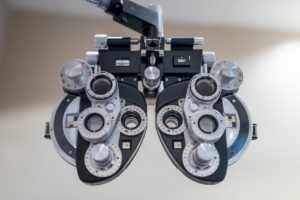 During an eye exam, your eye doctor may be able to identify the earliest stages of issues that may be developing with your health such as high blood pressure, high cholesterol, autoimmune diseases, and diabetes. By catching symptoms of these health complications early on, your doctor will be able to guide you through a treatment process before the condition worsens. In detecting the start of health complications early, you can save money on costs surrounding your treatments. Choosing the best coverage for your family can also assist you in paying for expenses surrounding vision care such as paying for glasses, contacts, and eye exams. This type of coverage is also ideal for families with young children who may need glasses in the future. With proactive vision care, you will be able to ensure that your family has all that they need to see comfortably throughout the year. Your vision is an essential part of your overall health. In proactively maintaining your ability to see with regular eye exams, glasses, or contacts, you are also ensuring that your family stays healthy. Particularly for children, vision wellness is a crucial part of being able to succeed in school. For working adults, glasses or contacts may be necessary to succeed at work. No matter what the vision care needs of your family are, it is critical to ensure that your family is well cared for with the right amount of vision care that they need. This entry was posted on Friday, September 14th, 2018 at 11:53 am. Both comments and pings are currently closed.